Often referred to as the 'Capital of the Canaries', Tenerife is a hotspot for millions of tourists every year. As the largest, most populated of the Canary Islands, with a sub-tropical climate, a coastline of over 200 miles and a mountainous landscape (sculpted by volcanic eruptions), Tenerife has something for everyone. 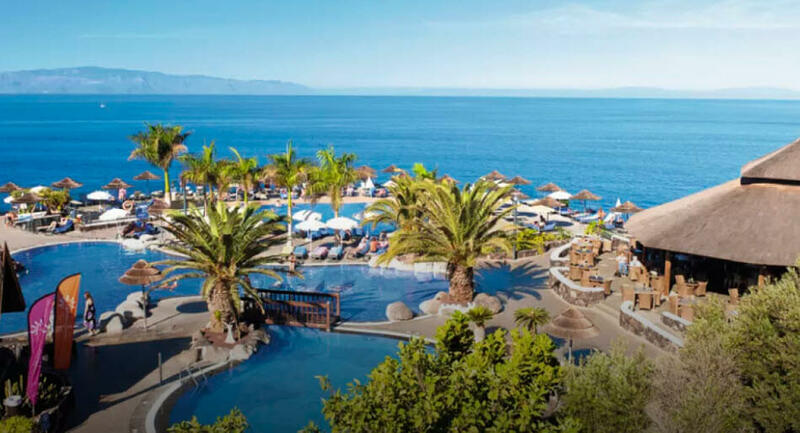 TUI is renowned for offering fantastic holidays all over the world including Tenerife and they like to save you a small fortune if they can too. 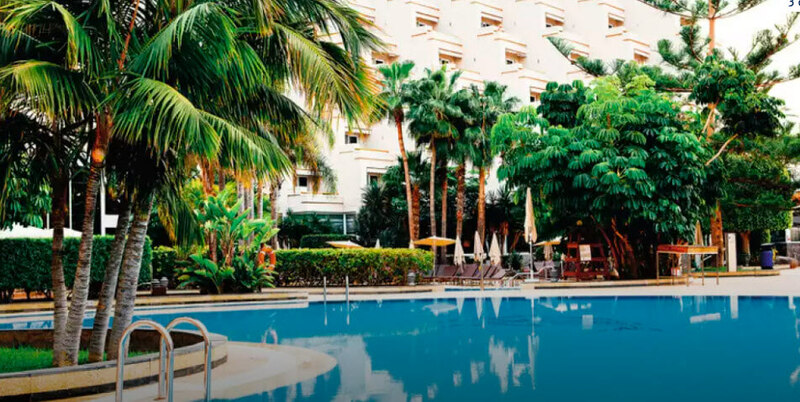 When you visit Tenerife with TUI you can expect city-sized resorts, massive beaches and of course sunshine that is unrelenting all year round. The Island is so revered that over 2 million holidaymakers vacationed here last year and those numbers are set to rise. It really is an island of two halves, with the North and South boasting their own unique, distinct qualities. This can be a little confusing, particularly for first-time visitors who are trying to decide where to stay. North Tenerife is known for its natural beauty, traditional architecture and nonchalant culture are why the North has become a more attractive proposition for tourists over the past years. You do get a greater insight into the 'real' Tenerife, as the majority of the Northern coast remains relatively undeveloped. The capital of Tenerife, Santa Cruz, is located on the eastern side of the island. Vibrant and cosmopolitan, this is a resort that will appeal to people of all ages. The best way to explore is by taking a tour on an open-top bus. Santa Cruz is also home to the islands famous harbour, which is one of the most historically important in the Atlantic Ocean and a gateway to mainland Spain. If you're looking for a livelier, more action-packed holiday, South Tenerife definitely offers that. Resorts have been vastly developed and English is more widely spoken with it being more popular amongst holidaymakers. Tenerife enjoys a warm tropical climate all the year round with the average temperature never dropping below 22degrees even in the winter months. The summer months see the average temperature soar to the late twenties or even early thirties. 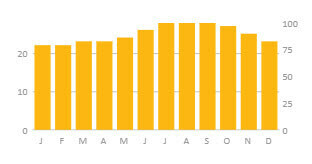 The islands number of days of sunshine is also pleasingly high. TUI offers a whole host of vacation options for every type of holidaymaker including families. Tenerife is a wonderful place to visit with the kids. Between the numerous child-friendly resorts, not too hot climate and reputation for both engaging culture and spectacular beaches the whole family is sure to have a blast. 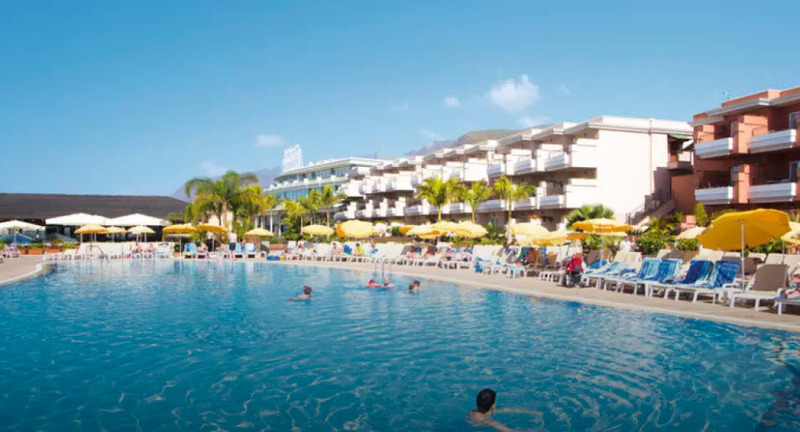 When searching for a family holiday in Tenerife TUI recommends Costa Adeje, due to its laid-back atmosphere, breath-taking views of the Atlantic Ocean and close proximities to family-friendly beaches and water sports attractions. So get geared up for a submarine safari or banana boat ride. Mount Teide national park is close to this resort and boasts fields of wildflowers, hilltop walks, cable cars, and one of the biggest volcanoes in existence. The whole family will become immersed in the natural beauty of the island one day and chill out on the beach or beside the pool the next. 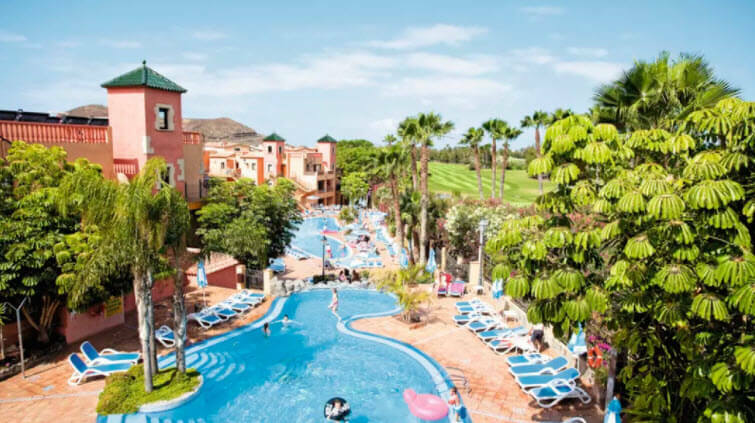 If you’re interested in booking a family break to Costa Adeje than look no further than Playa Real Tenerife. This charming hotel prides itself on its family-friendly approach, offering a short walk to the beach, kids daytime activities, including a playground and 3 kids pools. Booking through TUI could see you score a great price from as low as £359 per person with free baby and child places available on selected holidays if you’re lucky. This four-star resort offers 2 pools, panoramic golf course views and free access to the popular Thai themed waterpark Siam Park. 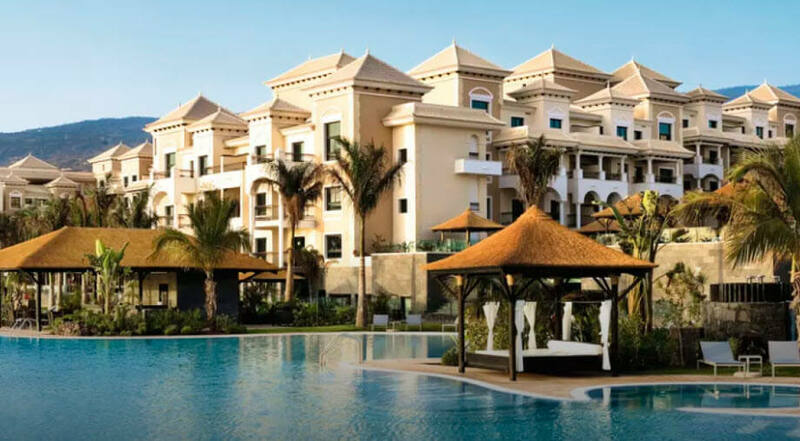 It has a quite Mediterranean village ambience with terracotta stone buildings and lush greenery. This luxury hotel is famed for their 5 plus star rating. Relax in plush deluxe suits or by the 5 stunning pools, sipping a cool drink. Kids are welcome also and even have a pirate ship to keep them busy as you unwind. Another hotel busting with life and welcoming to all ages, this hilltop wonder has sea views and a stunning A La Carte Restaurant. Kids have their own bowling alley and even a cinema. Located on one of the more scenic parts of Tenerife this hotel is sporting some impressive views, yet you’re still close enough to get to a beach in five minutes. Another TUI gem, this hotel is perfect for people in need of a little TLC. The spa features massage rooms, Roman and Turkish baths, and everything thing else you could possibly need to relax. This is a bit of given but with over 200 miles of coastline and at least 30 different beaches to choose between going to the beach is surely the main aim of a trip to Tenerife? TUI recommends Playa De La Arena, with its dark volcanic sands and convenient location it is a hit with families, couples and groups. It is also known for being one of the cleanest beaches on the island! 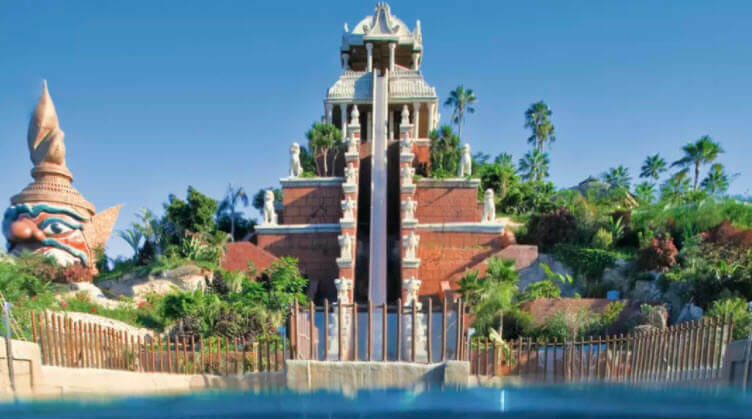 If there is one synonymous with Tenerife than it is the ever popular Siam Park! So hotels within close proximity to the park even offer free entry to the park with TUI bookings. Voted the best waterpark in the world for four consecutive years now, the park has rides for toddlers to adrenaline junkies. Mount Teide is the tallest live but dormant volcano in Spain. Most visitors opt to take the express route up via the cable cars so they can enjoy views of the whole island without the trek. Visit the capital, Santa Cruz, and take in the sights and stunning architecture of the old town including the churches and hospital. Stop by the museum and discover the history of this ancient town. Grab a bite to eat before exploring the port. You’ll never run out of things to do. Visit the Pyramids of Guimar, the next island over. These structures look over the east coast of Tenerife and are steeped in mystery. Garachico is another town that will entice any history buffs, having survived multiple disasters including pirates, a visit is a must. As you can see, a visit to Tenerife is sure to provide an excellent vacation, no matter if you want a wholesome family break or are a lone single after a good time. Whatever you’re after TUI may just have something up their sleeve that will be perfect for you.